Self-driving and autonomous cars are the future. Maybe you already took a ride in one today. How was it? Did you feel it was made for you? Did the car have human-focused design? Did it leave you feeling empowered? Or the opposite? If you don’t drive a car, is self-driving a car still engaging? 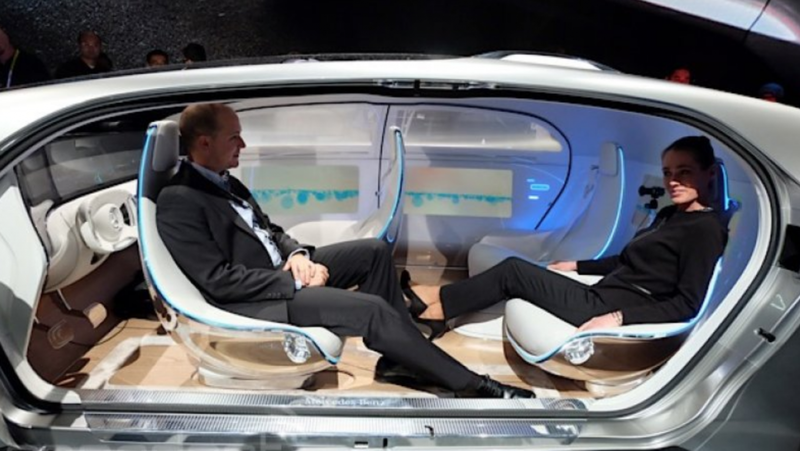 Let’s explore how we can design better self-driving cars, from the user or rider perspective. I want to feel great riding in one I own. Actually driving a car yourself feels much different from being in a self-driven car. You own the steering wheel, the driving experience. When you shift gears, the car feels a certain way. You have Ownership (Octalysis Gamification Framework Core Drive 4: Ownership & Possession). You also have choice on how to drive: aggressive, economical or efficient. You feel empowered by your driving style (Core Drive 3: empowerment of Creativity and Feedback). When I take my self-driving car out for a spin, will it feel the same as when I take my Ferrari out for a Sunday drive? Will it be as ‘cool’ to drive by the cafe with the top down if I’m not even the one behind the wheel? So how do we duplicate that feeling self-driving cars, particularly the ones we buy and own ourselves? In the short-term, just as it is fashionable to own a Tesla, it will be fashionable and trendy to own a self-driving car. So bragging becomes a thing. One simple way would be to create an interface which allows you to poke or say hi to nearby riders also in a self-driving car. This interface would combine elitism from Core Drive 1: Epic Meaning & Calling, with social elements of Core Drive 5: Social Influence & Relatedness. This equation gets even more interesting once ‘everyone else’ also owns a self-driving car. What is still special about the new technology? And how can I set myself apart from the rest? More importantly, how can I feel special. The type of driver who enjoys driving needs to be designed for. Once everyone has a self-driving car, giving the owner a way to differentiate themselves creatively from others will also by key. This is a question motivational designers will have to answer to woo potential customers. Answer this question expertly and you may be able to draw a huge crowd of potential buyers. Some people see no issue with losing the steering wheel. What they are trading for when they buy a self-driving car is time. TIME is money, and they want more of it. More time to relax as they move from place to place. Maybe they’ll even put their feet up and play a video game with their friends, or plan an activity at their destination. While they may not care what other people are doing in their self-driving cars, they do care about the creativity and autonomy they have in theirs. They want to be kept entertained. Could manufacturers and designers create surprises for this rider/owner type? Going one step further, designers focusing on relaxation could instill a sense of progress as the car learns how to best keep you relaxed and entertained. The more you drive your car, the more your car will know what to offer you where. With current technology, this outcome might be achieved through applications of machine learning and deep learning. Some people will use the extra time and attention (not driving) to complete their work on their commute. Then they can spend more attention on family when they get home. A cohort of this group probably uses public transportation, anyway, and won’t need to be designed for in the same way. How can in-car experiences adapt and change to make work easy, convenient, comfortable and fun? Is it possible we will actually look forward to our morning commute to plan the workday or our evening commute to focus on the last activities and deals of the business day? As goes for relaxation goes for productivity: if machine learning and deep learning can be incorporated to make productivity skyrocket, so much the better for this rider type. With your hands off the wheel and your eyes off the road, you have much more time to look around at everything around you. For some, self-driving cars will enable creativity and exploration. With appropriate interfaces and feedback, the rider will be able to influence the flavor of this creativity and exploration. For example, videographers will be able to capture amazing footage for their films completely solo, just by renting a self-driving car. People who want to visit new places can spend all their time looking out the window. In-car apps can provide details of landscape, scenery, and historic sites. This user is really looking for a sense of connection with her environment. She wants to be surprised, delighted, and informed about her whereabouts in a way she hasn’t been ever before. Ideally, even an everyday commuter can learn about the city within which she works. Oh, there will be music, food, and drinks, too. 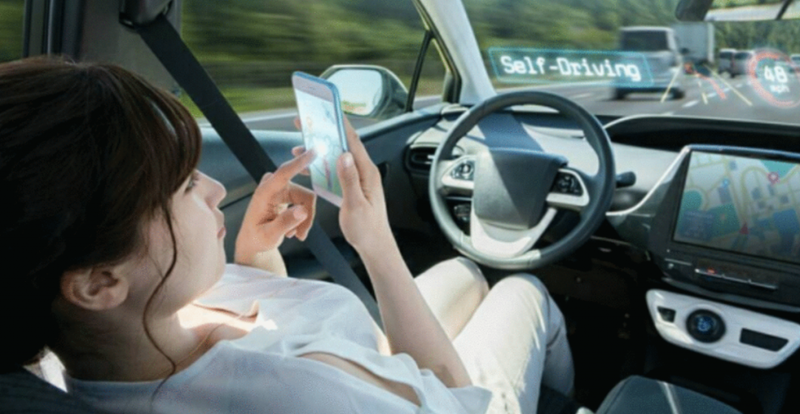 Self-driving cars, if designed with these user motivations in mind, will thrive. If they are designed with our innate motivational drivers, from meaning to creativity to social influence to curiosity, they will be owned by every human before long. People will get to put their time, attention, and engagement toward the activities they care about instead of being frustrated by road rage and traffic jams. Now, how to create that engagement is our speciality. We have done it many times before and can do it for your company too. To learn more about how to use the Octalysis framework or the Strategy Dashboard (backed by science in behavior design) to analyze experiences and design better ones, contact us now. We will help you discover how to make irresistible human-focused experiences.